How can you boost your carpet cleaning sales with customer reviews? Hi I’m Hendrik Vos or Vossey and I’m in the digital marketing strategist here at Lead Fuse. I believe online reviews online have become the new word of mouth. They’re very important to businesses including carpet cleaning businesses. We recently completed a survey with carpet cleaners and there are two core things that came out of that. One is that many carpet cleaning businesses struggle to create differentiation – a point of difference and a position in the market that isn’t price based. 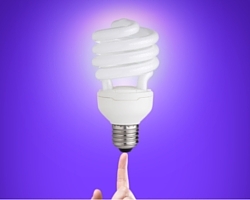 A difference that establishes your quality and the value of your service as part of your overall value proposition. Another thing is you feel like you have a lot of competition and standing out and getting ahead of the competition is a major issue for many carpet cleaning businesses now. Online reviews have many benefits. I’ll focus on the first one here you see a ranking of your Google My Business listing. One of them is carpet cleaning Central Coast. You can see that the businesses with more reviews tend to rank higher than the businesses with a few reviews and no reviews. Now, this isn’t always the case but all things being equal, online reviews actually boost the SEO level and the ranking of your Google My Business listing on Google Maps and on Google search. So they have a strong benefit in doing that. They also increase the prominence of your business in Google search and across the search result page. 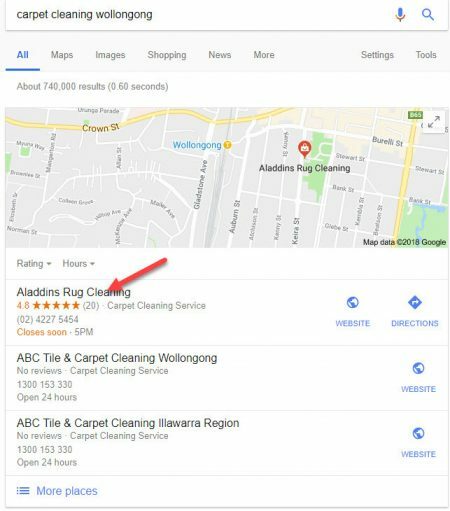 So when you search for carpet cleaning near me for example and the listing comes up, the Google My Business listing star rankings come up and sometimes websites have star rankings for them as well. Both of those make it stand out and therefore customers are more likely to click through to it. The other thing that reviews do is that they improve the lead flow and sales that are coming to you. So most people are checking out store reviews with some regularity before they pick where they shop. This is about 80 per cent of people are either looking at them all the time or regularly. 93% of consumers read local reviews before they make a shopping decision. For example, if someone’s looking for a new carpet cleaning business they will go into Google and type and ‘carpet cleaning near me’ or ‘upholstery cleaning near me’ and then many of them will read reviews before they even make a decision to contact you. And they trust those reviews despite the fact that we sometimes believe that a lot of the reviews are fake or there are fake reviews. People trust those reviews. Eighty-three per cent of them trusts reviews as much as personal recommendations from friends and family. Which is why I say they are the new online word of mouth. And the important thing is that Google trust customers more than they trust business owners. They can see that a whole bunch of customers are rating this business fairly high. They trust that because they can often see customer location. That’s because they’ve got Google Chrome and they’ve got mobile phones with Android in them and they’ve got Gmail accounts open. They can see where these people are located. They can see they’re located in your catchment area and the customers have given you a legitimate review and they trust that. They trust those reviews more than they trust what the business owner says about the business themselves. Now the other thing that we’ve already said that reviews improve the ranking of your google my business listing and they improve the prominence they improve the traffic and leads and conversion. The other thing that they do is they reinforce your positioning of delivering quality. So if you are a good carpet cleaning business who does great work and customers give you reviews, that is a strong indication that a customer who buys that service from you is going to get that same type of service. And therefore you’re avoiding the price competition because you can establish your point of difference that you’re a great service business and that you don’t have to go to the bottom of the heap in terms of price to get those customers. Some customers will always go for the lowest price. There ’s nothing you can do about that but if you target customers who want good service and want a good job, reviews reinforce your positioning. Now the other thing is that you as a business know that you’re delivering against customer expectations. If customers give you reviews and the reviews are good you know that you’re delivering the expectations that they have. If they’re not so good, you can fix it and you can improve those reviews and you can improve your process to improve your interaction with customers and get a better review. Reviews also help staff morale because people everybody wants to work for a good business that does good work. And last of all if you don’t want to follow the positive benefits are good reviews, they also provide some protection against bad reviews. Sooner or later someone is going to be upset with a service delivery of yours and they are much more likely to go online and leave a bad view as a revenge attack in a sense. So if you’ve got 20 good reviews and you get one bad review – no problem. There’s a balance there. If you’ve got one or two reviews and you get a bad review – big problem because everybody is going to see it and they’re not going to understand exactly what’s going on there. Now I believe that getting more reviews is a great opportunity for many carpet cleaners. I’ve looked at 420 odd carpet cleaning Google My Business listings. One of them has a lot of reviews. A very few of them (less than 40) have more than 25 reviews. The majority – nearly 200 of them have between 0 and 1 reviews. So there’s a massive opportunity to up your game, collecting reviews and creating a differentiation and a point of difference. What Review Venues Should You Choose? Now, where should you go when you’re collecting reviews? For the carpet cleaning area, Google My Business is going to be the number one priority because that’s where people go and search they go and search for carpet cleaner near me, upholstery cleaner near me etc. So that’s the first place to be. If you’re on Facebook you should be also asking for reviews on Facebook. True Local is a good place to also collect reviews. That would be my top three. The reason I say that Facebook and True Local are useful as well as Google extracts the reviews from Facebook from True Local and from Google My Business and puts them on their knowledge graph panel which is about your business. 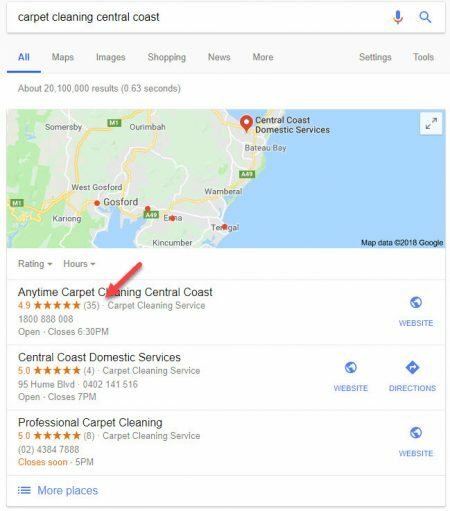 So when you search your business or a carpet cleaning business you will see on the right-hand side on the desktop, a Google knowledge panel about your business and very often it will have reviews from Google My Business, from Facebook and True Local. There are other places that would be useful to collect reviews. You’ve got to keep an eye on ProductReview.com.au. It’s a place where people who are disgruntled with the service delivery often go and leave reviews. Yelp is one of those ones that are up and coming and is also important. But focus on Google My Business, Facebook and True Local first. Now, most carpet cleaners don’t want to ask for reviews. They think it’s difficult and it’s not. You just need to prepare. You need to get some review links. Put a process together as well and get better organised. And then you just need to ask. So when the job is done you check that everything’s okay. You know “we’ve done the service you’re happy with everything?” the customer says Yes. Then you basically ask for a review, “my boss would like a review”, “we’d like to collect some feedback from you about how the service was so that we can measure our performance… is that okay?”. The customer we usually say yes and commit to it. Then very quickly after that send an email and or an SMS review link to their mobile phone or email address. You will find that the majority of people don’t do a damned thing. It’s really annoying. They say they’re going to and they don’t go ahead with doing it. You have to follow up at least once ask them for the review and you have to follow them up again generally. Through that process of double follow up (maybe three) you’ll get 30 to 40 per cent of customers actually going online and leaving you a review in the places that you want. You’re never going to get everybody but if you don’t ask you don’t get. And if you don’t have a process, it makes it hard for the customers to do it and they won’t do it. The other thing is important is that you need to respond to all the reviews. Sixty-five per cent of people in a survey recently about reviews said that they thought the brand should respond to every comment whether it’s a positive review or a negative comment. 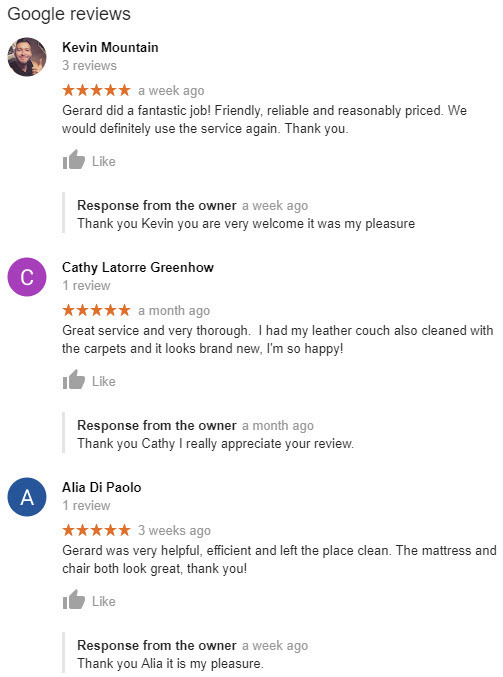 You can see here this business owner of a carpet cleaning business has responded to every one of these reviews. And more than three out of four think the responses should be personal and not just generic thanks for your review etc. You can see here this business owner has done that. Reviews are the online word of mouth. Reviews boost your SEO for your Google My Business listing and if they’re on your website they’ll also boost the SEO of your website. Reviews boost lead flow because people are more likely to see your website and more likely to click through to it and with the reviews on your website they are more likely to contact you because the reviews are social proof and word of mouth. There’s a massive opportunity for most carpet cleaning business owners out there because many of you don’t have any reviews or only have one or two reviews. So it’s an opportunity for you to get ahead of your competitors and just collect some reviews and prove to everybody via the social proof that you’re a great business that you do deliver great service. Reviews will help differentiate your business from others so they’ll help you deal with this pricing issue. They’ll help you deal with competitors and competition because they show that you’re different and better than everybody else. You need to collect those reviews on Google, Facebook and True local primarily – so create the review links to those. And it’s actually quite easy. Just ask customers and have a process in place to make it happen. If you would like more information about reviews and how to get more it use more easily. Just contact us.